Signing up for a half marathon is exciting — especially if it’s your first one. I remember exactly how I felt. Right after submitting my application, I was tempted to go outside and immediately run 13.1 miles as quickly as I could. But I’m glad I didn’t. My body was only used to running shorter distances, and I knew I needed to gradually build up my strength and endurance in order to stay safe. I have a friend who wasn’t so careful after signing up for his first half marathon. He immediately started running long distances, and sure enough, he ended up breaking his foot. Unfortunately, he wasn’t able to recover in time for race day. Broken bones and pulled muscles can completely derail your training progress — or, even worse, they can cause you to miss your big race. It’s in your best interest to take your time and focus on safety during these important months of training. I’ve come up with two easy-to-remember acronyms that will help young runners ensure safety and success when training for half marathons. One will help them plan their training, and the other will keep them safe during their training. First and foremost, don’t “SHAI” away from training wisely. Start small: Don’t go out and run 13.1 miles on your first day of training. Your muscles will become incredibly sore, and it will take several days (or even weeks) for them to feel normal again. Instead, build up to running long distances. Have fun: Running a half marathon is fun, and training should be, too! I like training with friends and family, but if you’re going solo, you could listen to your favorite upbeat music and feed off of that energy. Or if you’re running on a treadmill, you could even watch a movie. Awareness: It’s important to always be aware that injuries can happen. This will make sure safety is constantly at the top of your mind as you plan your training sessions. SHAI will help you put a safe training program in place. After that, you need to know what you “WANT” — to stay injury-free and cross the finish line. Warm up: You always have to warm up before going on a run. There are no exceptions to this rule. I like to stretch my muscles for at least 10 minutes and also use a foam roller on my calves, thighs, and back before heading out. Awake: Don’t run if you’re sleepy. You won’t be as focused or careful, and you could take a wrong step and injure yourself. 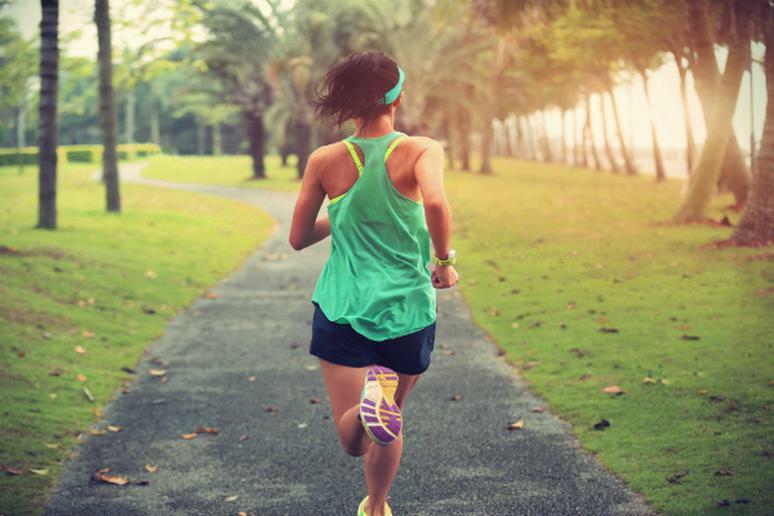 You want to be alert during your runs. Notice: Always take notice of your surroundings. If you run outside, be on the lookout for sharp objects, small ledges, or slippery terrain that could cause you to fall. Think: As you train, keep your big-picture goal — to run (and finish) a half marathon — in mind. This will remind you to stay safe and steady. Otherwise, you might feel tempted to overexert yourself and put your health in danger. You should be excited about your upcoming half marathon — just don’t let that excitement lead to unwise training decisions. The last thing you want to do is miss the race because you pulled a muscle or broke a bone. Don’t “SHAI” away from coming up with a wise training plan. Then, focus on how much you “WANT” to stay injury-free for your race. If you do that, you will cross the finish line in the best shape possible. Kenan Pala is a guitarist, triathlete, trumpeter, traveler, poet, and martial arts enthusiast. At 13 years old, he’s juggling his education and his passions for music, entrepreneurship, and staying active. He enjoys going on business trips with his mother and exploring historic cities. Triathletes, as well as his entrepreneurial parents, inspire Kenan.